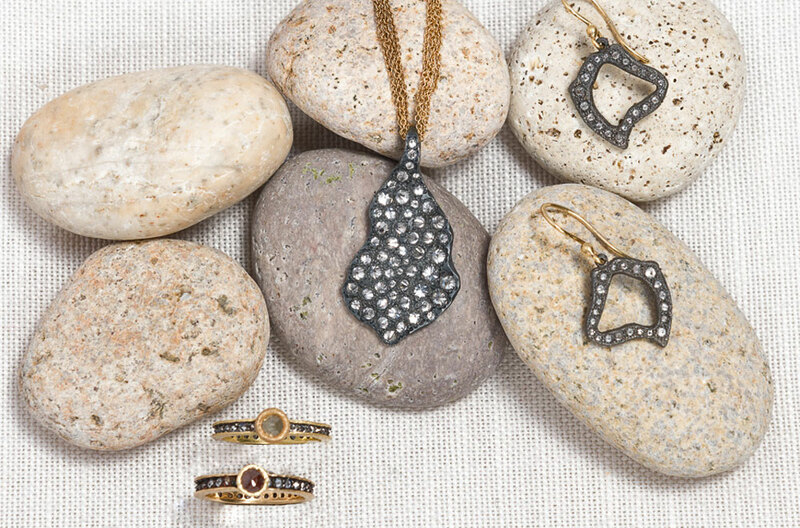 TAP by Todd Pownell jewelry is unconventional, with the use of inverted diamonds, and intentional rugged form and color. The TAP by Todd Pownell oxidized silver pendant and earrings both have abstract and irregular form, with a rough silver texture. The TAP by Todd Pownell rings have inverted diamonds, but is set in gold with a stone.